(Seek) In recent years, one of the most intriguing areas in artificial intelligence research concerns the open question of whether a machine could ever be truly creative. Could AI, in other words, really create capital-A Art? As with so much else in the realm of AI, it all depends on how you define your terms. Computers are indeed capable of creating pictures and music, turning specified inputs into novel outputs. Whether this can be described as art is a matter of debate. A group of ambitious Japanese researchers has come up with an interesting detour around this dilemma by developing an AI-powered app that’s expressly designed to work with humans, rather than stand in for them. 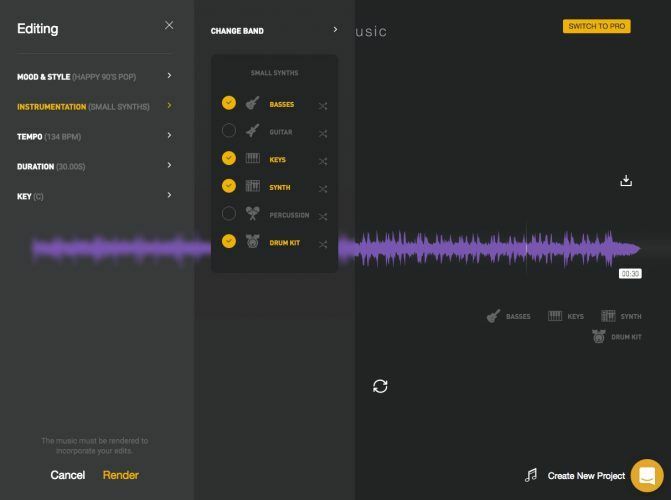 Called Amadeus Code, the app is built to be a songwriting partner for composers, using a vast database of melody, harmony, and rhythm to generate musical ideas with the touch of a button. Developed over the course of several years by musician Jun Inoue and his collaborators, Amadeus Code works by analyzing hundreds soon to be thousands of songs and compositions dating as far back as the 17th century. The app’s proprietary database includes work in various genres, from Baroque classical to current club hits. The core concept behind the app is to divide the songs into their smallest units — the “atoms” that make up a melody, groove, or lick. Then the AI uses algorithms to generate new tunes and chords based on the era, rhythm, and range. The AI system’s “generation engine” outputs new melodies, rhythms, and chord progressions into a simplified mobile interface. The idea, Inoue said, is to give musicians and composers a new kind of 21st-century tool for breaking through a creative block or providing sparks of inspiration. By designing the system to work with smart phones, the team has made a composition tool that musicians can keep quite conveniently in their back pocket. The technologies behind the app get rather complicated and the research team has publicly posted an explanatory white paper for those who want to dig into the specifics. But the principle concepts is relatively straightforward, Inoue said. For example, Inoue said, even if the melody is the same, a song using a drum set with a 4-beat rhythm suggests it is jazz, while a bass drum on a rhythm machine used with an 8-beat or 16-beat rhythm means that the song is probably dance music. Besides serving as CEO of the company producing the app, Inoue is an electronic musician and producer. He learned piano when he was seven years old, got a drum kit when he was 15, and eventually studied at the Berklee College of Music in Boston. The idea for the app came to Inoue around eight years ago while in the shower as he struggled with increased demand for his producing and songwriting skills. The Amadeus Code app is currently in closed, beta development, but the researchers hope to initiate an early access program by the end of April. Anyone interested in participating in the free program can sign up via the Amadeus Code website. 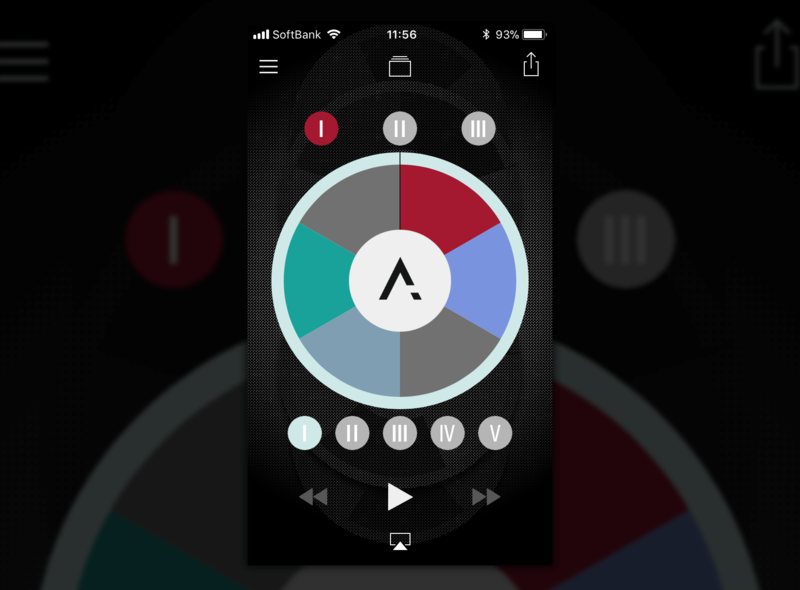 The research team sent Seeker an early build of the app, which has an appealing and simple graphical interface. 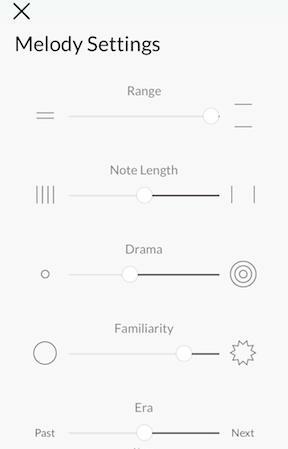 By way of “Melody Setting” sliders, users can request a new melody using criteria like range, note length, familiarity, and drama. Another slider allows users to choose from which era they’d like their inspiration. Input your parameters and your phone’s speakers start pumping out a simple melody atop a basic chord progression. Click around through playback options and you can change the instrumentation. You might get a synth line over guitar chords, or a trumpet sound over piano. Each of the melodies and chord progressions are generated on the fly by the AI system. Ideally, something in the output will spark an idea appropriate to the genre and style you’ve selected. Inoue said Amadeus Code is actually designed to be very simple for the user, and to do one thing well.